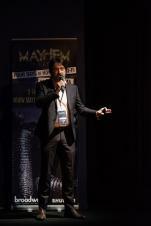 Mayhem Co-Director Steven Sheil introducing the film. 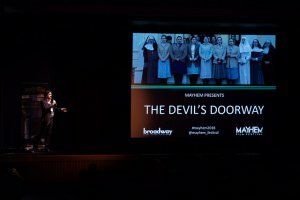 Mayhem Co-Director Steven Sheil introduces our screening. 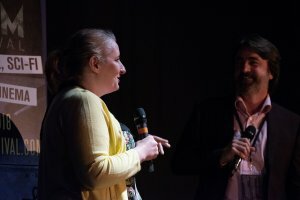 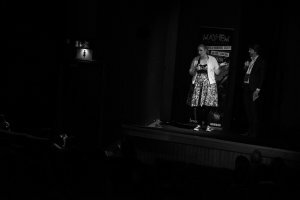 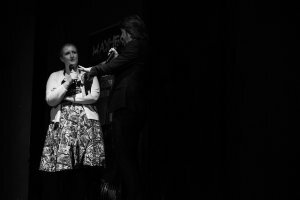 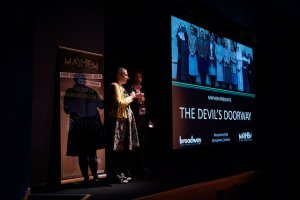 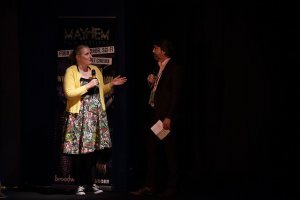 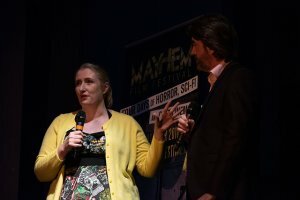 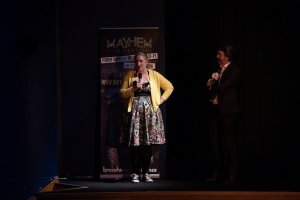 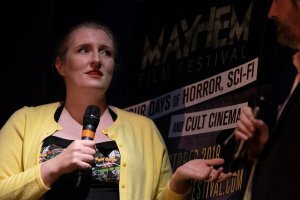 Post-film Q & A with director Aislinn Clarke and Mayhem Festival co-director Steven Sheil. 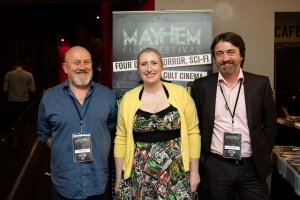 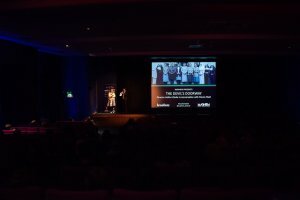 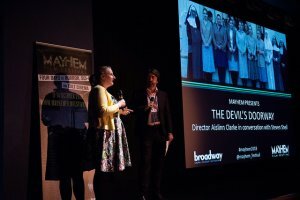 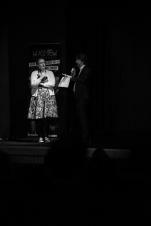 Festival Co-Directors Steven Sheil & Chris Cooke with special guest Aislinn Clarke, director of THE DEVIL'S DOORWAY.